Hairscapades in Better Than Good Hair! 2/2/13: Okay ladies! This is it!! I got a personal text from Nik asking me to get the word out! 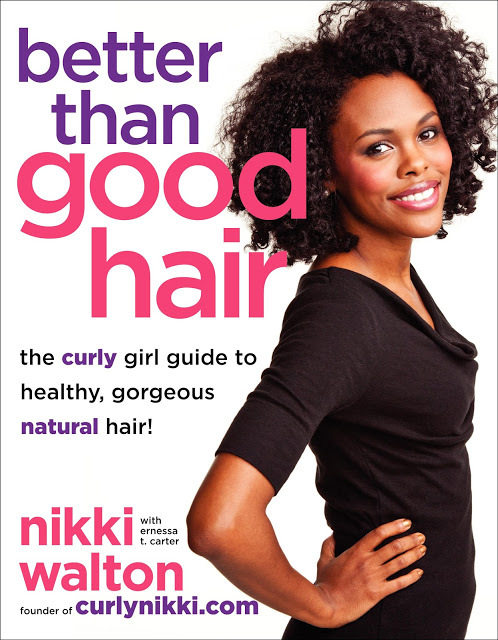 Please buy your copy (or two or three or four … I got 3) of Curly Nikki’s Better Than Good Hair BY 5 PM TODAY!!! In the publishing world, you have one week to make it in the top 20 and BTGH is so close!! So, if you can buy another copy AND/OR get family and friends to do so, TODAY IS THE DAY!! It’s here!!! It’s here!! Okay, my copy isn’t here. 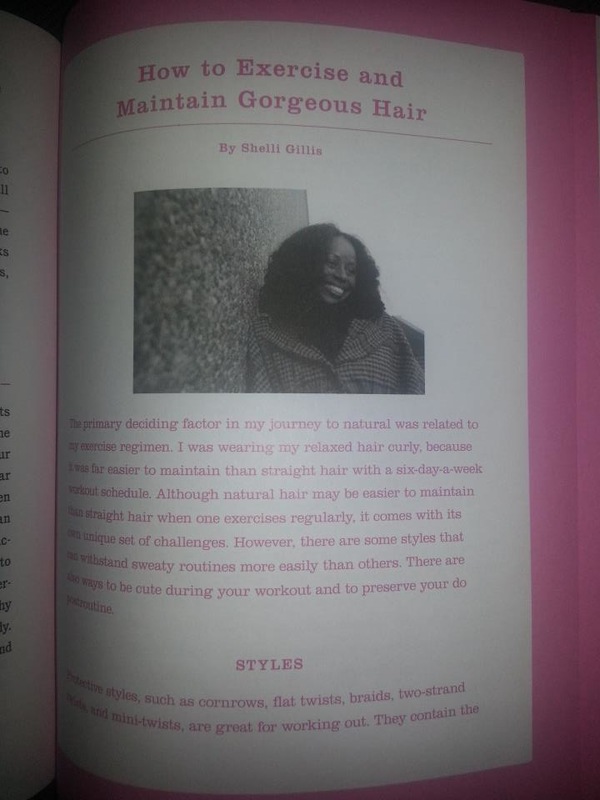 But Hairscapades follower Myeisha got her copy of Curly Nikki’s Better Than Good Hair yesterday and shared pictures of my Exercise and Natural Hair article on the Hairscapades Facebook page!! That’s me!!! That’s me!!! LOL!! Buy a print copy of the book between January 29th and February 2nd on Amazon.com, BarnesandNoble.com or at your local bookstore. Register at Shea Moisture Events Giveaway HERE. Congrats Shelli!!! I got mine yesterday too. It’s like a natural hair party in a book. I was so excited to see so many familiar faces. I so appreciate that this book is different from the other natural hair books on the market; and trust me, I’ve read most of them. Kudos to you and CN! Shelli congratulations on your portion in the book…i can’t wait to get mine..has not arrived yet!!!! congratulations. i ordered the print copy in advance but then last week when i made a change to my amazon account i had to cancel it and rebuy it so i got the kindle version instead. Yeah! I got my copy, maybe if I see you one day, you can sign the page. As you know, I love love to exercise! !